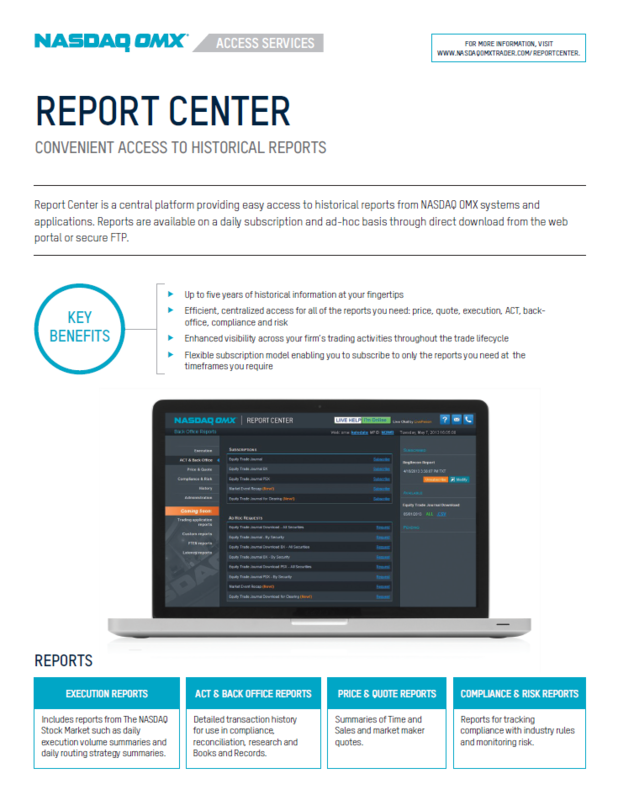 Nasdaq radeguard provides a wide array of reporting options for clients, from execution to OATS reporting, we've got you covered. Using our Drop Copy Network, firms can choose to allow Nasdaq to collect and store all of their trading and order data via drop ports to the various trading venues. From that data we can create a variety of reports and perform key functions for your firm.